Alternative Drainage have been providing drainage services, including clearing and unblocking drains to Roundhay customers for over 22 years. Our Roundhay Drainage Engineers work daily dealing with the blocked drains and blocked toilets of commercial and domestic properties throughout Roundhay and the surrounding area. As a result our engineers understand the Roundhay Drainage Systems, and we understand the needs of the local people. 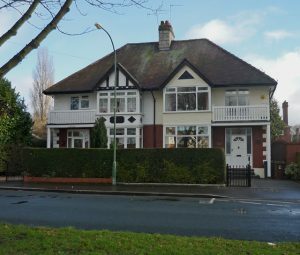 We have undertaken many projects throughout the Roundhay area including Moortown, Chapel Allerton, Gledhow, Meanwood and Seacroft. Roundhay is a large and generally affluent suburb of Leeds, West Yorkshire. Situated to the north east of Leeds approximately 4 miles from the city center it has a population of around 22,000. It is home to the well-known Roundhay Park which is a grand, Victorian park being the second largest city park in Europe. Roundhay has good access to the A1 and M1 motorways and is within close proximity to the A64 making it a good commuter town for both Leeds and York. Whilst Alternative Drainage regularly undertake Drainage work for domestic and commercial customers throughout the Roundhay area, one particular customer who owns a well known restaurant was impressed by the high standard of service.